Iraq has asked British energy giant BP to draft a study on boosting production in all the oilfields of northern Kirkuk province, Oil Minister Jabbar al-Luaybi said Sunday. Luaybi told AFP he hoped to discuss the proposal with BP's head, who is due to visit Kirkuk in the coming days. "I suggested they study my proposal and I am waiting for their reply," Luaybi said. In 2014, the oil ministry and BP signed a consultancy deal under which the oil titan would study reserves in the Baba Gurgur and Havana fields and ways of developing them. But Baghdad lost the Kirkuk fields to Kurdish forces that year during a sweeping offensive by the Islamic State group, and the deal was never implemented. "Because of IS, it was frozen," Luaybi said. Iraq signed a new memorandum with BP in January after the federal government took back control of the area. Baba Gurgur, discovered in 1927, is Iraq's oldest oilfield. Central government forces reseized it from the Kurds in October along with the fields of Havana, Bai Hassan, Jambu and Khabbaz. The five fields have a total output of around 470,000 barrels of oil per day (bpd) but production and export have been slow as the main pipeline linking Kirkuk to the Ceyhan oil terminal in Turkey was damaged and needs repairs. 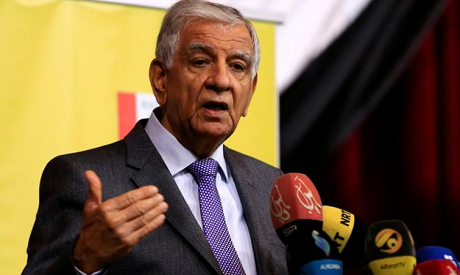 A sixth oilfield, Khurmala, remains in Kurdish hands, but Luaybi insisted it belongs to Iraq's state-owned North Oil Company. "Khurmala belongs to NOC and was discovered more than 30 years ago," he said. "We started developing it in 1995. NOC and the oil ministry have finished drilling 36 wells there." Luaybi said the Iraqi oil ministry had launched a $37 million programme in 2004 to develop Khurmala. The ministry of resources in the autonomous Kurdish region of northern Iraq seized Khurmala in 2008-2009, Luaybi said. "But it's a field that belongs to the oil ministry of the federal government," Luaybi said. Iraq is the second largest producer in the OPEC cartel after Saudi Arabia. It reported its oil exports at 109.6 million barrels in December last year, the same month that the government announced victory over IS. Iraq in December 2017 earned around $6.5 billion (5.3 billion euros) from crude sales, at $59.3 per barrel.